The phone case adopts Magnetic adsorption technology, built-in magnet surrounds the glass case, and the metal frame is automatically adsorbed when it is near to the phone case. 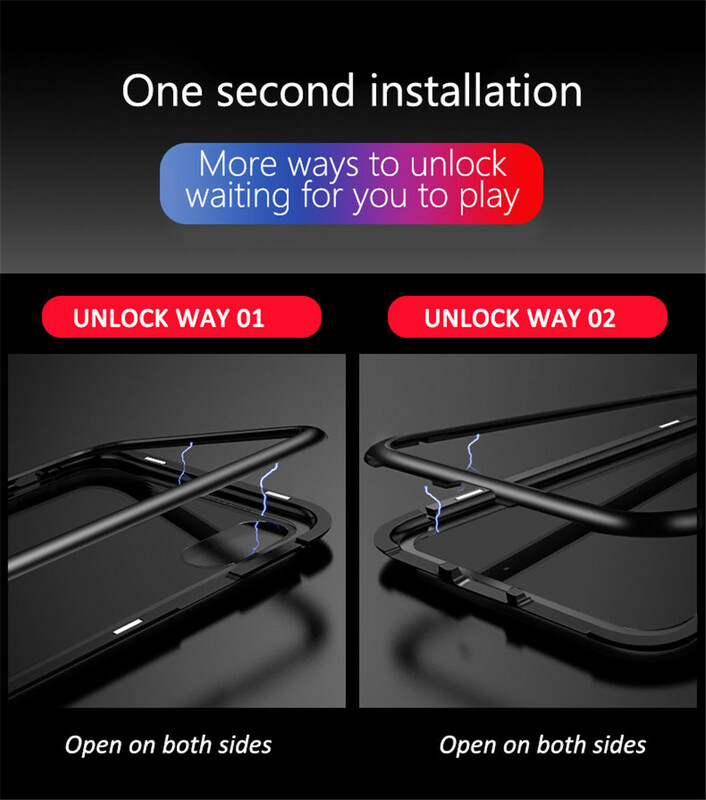 No need complicated manual installation procedures.T he powerful magnetic adsorption makes the frame and the phone case seamlessly connect. Full body metal frame protection: The metal frame is tough enough to withstand the nicks and scrapes, not easily deformed, provides full protection to your iPhone. 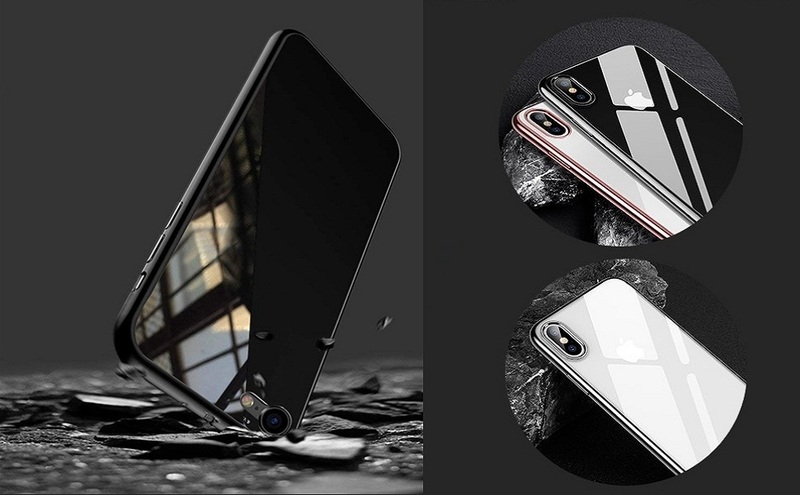 Tempered glass back of the iPhone x case with Waterproof & Anti-Scratch & Anti-dirty & Anti-Shock & Anti-fingerprint design. Port precision cuts do not obstruct the signal: You can fight monsters in the Games Kingdom with your friends or do other things with it smoothly. Quality service: Please let us know before leaving a feedback or product review if you have received any defected item. We would like to help you resolve any issues. Magnetic adsorption technology always makes your iPhone stand out from the crowd. Full body with 360-degree protection. Metal frame+tempered glass back, the exquisite structure offers full protection. Durable, scratch-resistant finish, reserving the natural beauty of your iPhone X Plus. Designed without any properties that will block your GPS, Wi-Fi, or mobile signal. Disassembly effortlessly, pretty easy to attach and remove it from your phone. Clear back design showcase the original phone design. A total of 16 magnetic points, easy to install and remove. I used something similar on my iphone and like it. Protects the surface from scratches. Best case ever it is so cool how my phone can turn off and on just buy opening the case. Very nice case, strong and modern. Fast shipping and good packing. Recommend to all!! !